Dr. Deanine is in private practice in Sarasota, Florida with an emphasis on women & children’s health and healing the whole person. As a physician, she is committed to empowering her patients with an integrative model of care. She works closely with the Rosemary Birthing Home in Sarasota, a free standing birth center operated by licensed professional midwife, Harmony Miller LM, CPM. Dr. Deanine is the founder of Integrative Touch Seminars, a professional continuing education provider founded in 2001 and endorsed by the NCBTMB, state of Florida and the boards of Acupuncture and Massage Therapy. Dr. Deanine began her study at the University of South Florida with a focus on marine biology. Inspired by the science of living things, she expanded her study to physical therapy and exercise science. She was introduced to massage therapy, bodywork and acupuncture thru personal experience and went on the study massage and Oriental medicine. She became a licensed acupuncture physician in 1997. Since then, Dr. Deanine has been dedicated to study healing traditions from all over the world including herbology, classical homeopathy, kinesiology, detoxification and nutrition, Dr. D’Adamos blood and Genotyping, qi gong and CranioSacral Therapy thru the Upledger Institute. Dr. Deanine is a professionally trained and qualified practitioner of The Arvigo Techniques of Maya Abdominal Massage a therapy. She is trained in CranioSacral therapy levels 1 & 2, CranioSacral for Pediatrics and SomatoEmotional Release. 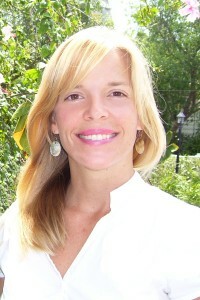 Dr. Deanine has contributed to the field of health education and curriculum development since 1997 and was formerly an instructor of Anatomy and Physiology, massage, herbs and acupuncture at the Sarasota School of Massage, Florida College of Natural Health and the East West College of Natural Medicine in Sarasota. She has trained practitioners from all over the world and from diverse health care disciplines such as midwives, Physical Therapist’s and Psychologists in integrative healing and bodywork. Her in house trainings have been sought after by leading spas and resorts, including the Ritz Carlton, The Spa at Riverview-New Smyrna Beach Florida, and Handling Your Health Rehab Center in Nassau Bahamas and the Florida Hospital at Celebration in Orlando. She currently teaches Integrative Pregnancy Massage a certification program for massage therapists and allied healthcare practitioners. Dr. Deanine is a mother of 2 fine young men who love being outdoors and in the water. She intends to leave the world a better place one step at a time and has the vision and intention of connecting each and everyone she meets to their inner physician ability to heal and their inspiration.